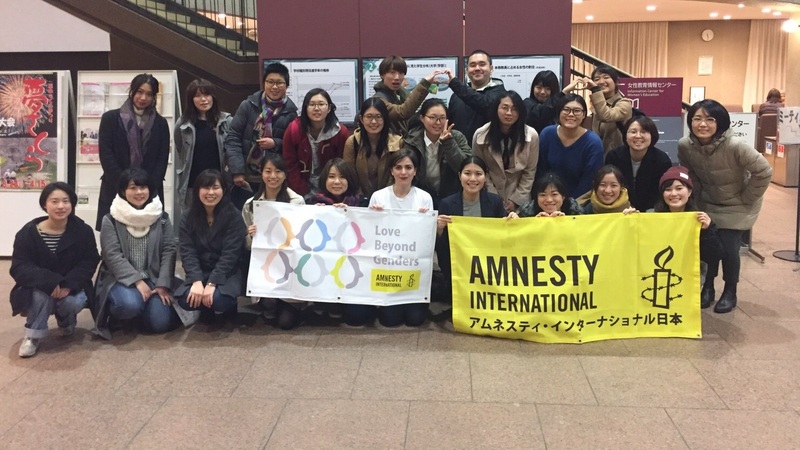 Saitma, Japan (December 18, 2017) – This fall semester, students in the Walter Leitner International Human Rights Clinic researched and designed a gender equality education training manual for Amnesty International Japan (“AI Japan”). The training manual included an introduction to gender and human rights, gender inequality and gender-based discrimination in Japan and worldwide, and activism strategies for raising awareness of human rights violations. The training manual was written by clinic students DeAnna Baumle, Krina Patel, and Saleh Mohammad Shafi, and was supervised and edited by Carolina van der Mensbrugghe, Tolan Human Rights Fellow with Amnesty International Japan, and Prof. Chi Adanna Mgbako. On December 15-17, 2017, Tolan Fellow, Carolina van der Mensbrugghe implemented the pilot program of the training materials at the first ever AI Japan Youth Camp in Saitama, Japan. Twenty-seven high school and college students, as well as young professionals, from all over the country attended.